For many drivers, buying a new luxury vehicle just isn’t in the budget. However, while purchasing a new vehicle fresh off the lot can create a major dent in your savings account, purchasing a lightly used luxury model can yield much lower prices. So, if you’re looking to get behind the wheel of an upscale vehicle, without the upscale price tag, take a look at the various used luxury models available here at Ultimate Motors! One of the biggest draws to getting a pre-owned luxury vehicle is that it allows drivers on a budget to get great deals on high-end vehicles. It also gives more drivers a chance to get higher trim levels that often feature more exclusive features and technology such as chrome accents and active safety features. Those that purchase a luxury model that has been pre-owned will also experience less depreciation over time, as much of the model’s initial depreciation will have hit the vehicle’s original owner. What’s more, with manufacturers’ certified pre-owned programs, you’re practically guaranteed a quality vehicle that won’t be requiring much maintenance any time soon. 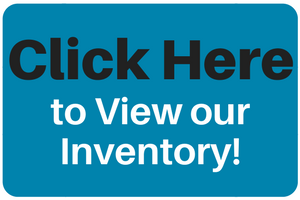 Be sure to check out the Certified Pre-Owned Inventory here at Ultimate Motors! If you’re looking to get behind the wheel of a classy vehicle, but don’t want that luxury vehicle price, you’ve come to the right place! Here at Ultimate Motors, we cater to the Midlothian, Virginia-area with our wide variety of luxury vehicles, made up of a selection of different brands and automakers. Just take a minute to browse our online inventory to see if we have a sedan or SUV that matches up with what you’re looking for. From there, simply give us a call or schedule an appointment online and we’ll be happy to set you up with a chance to take a test drive in the vehicle of your choice. That way, you can get a feel for it and check it out for yourself before making a final decision of whether or not it’s right for you. We look forward to hearing from you! This entry was posted on Tuesday, November 28th, 2017 at 6:26 pm	and is filed under Tips and tricks, Used Vehicles. You can follow any responses to this entry through the RSS 2.0 feed. You can leave a response, or trackback from your own site.